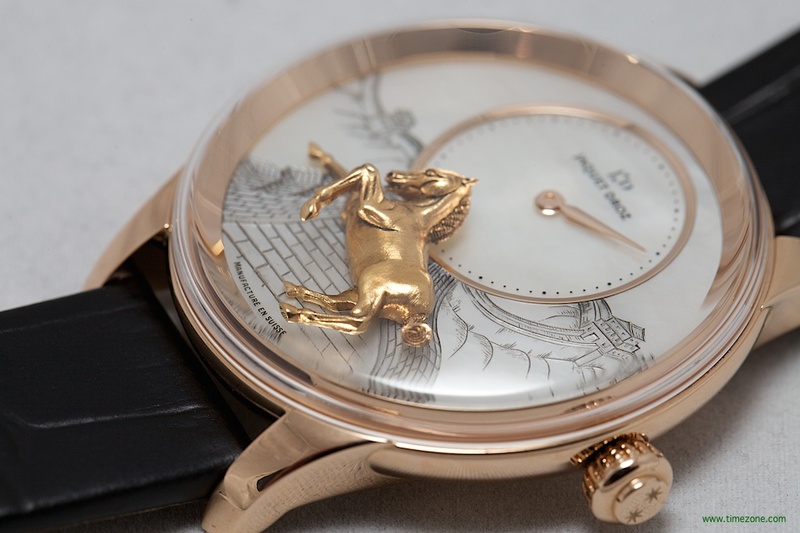 Jaquet Droz has long mastered the use of aventurine for some of its most elegant dials and, this year, combines the sparkly mineral in a Grande Seconde Tourbillon. 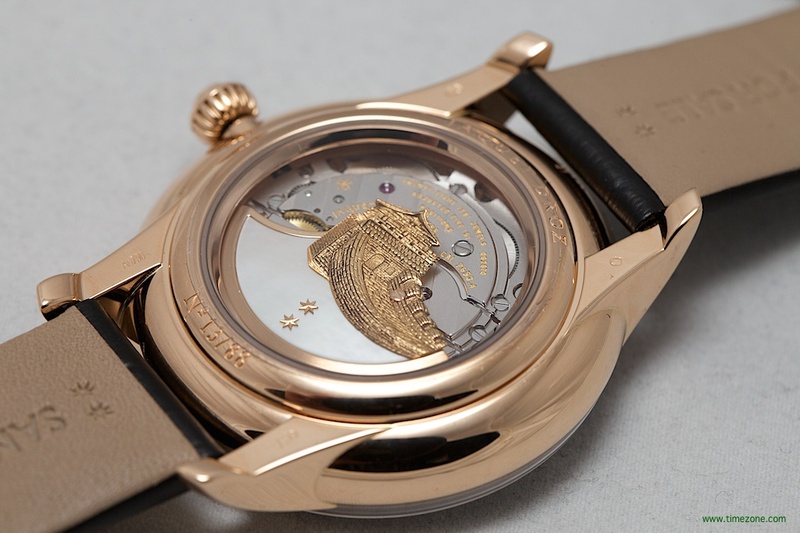 The center of the dial is white mother-of-pearl framed by 18-carat gold set with 90 diamonds (0.14 carats). 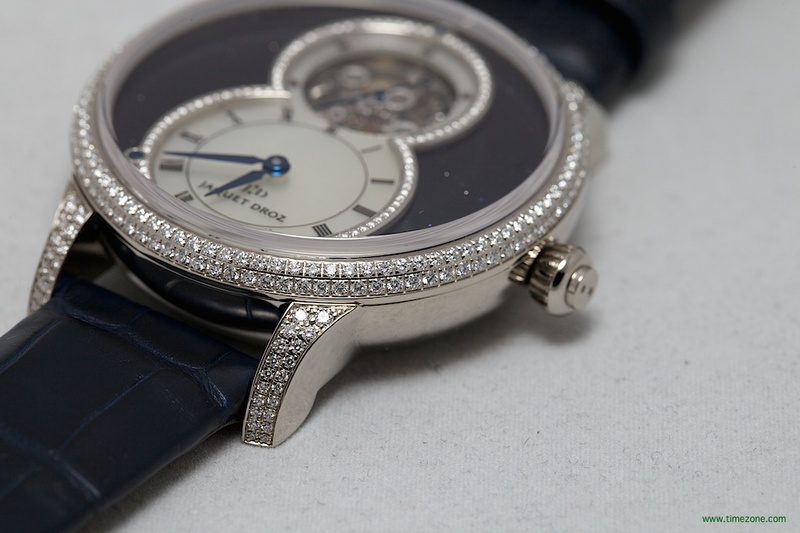 The 18-carat white gold case measures 39mm x 13.20mm and is gem set with with 260 diamonds (1.47 carats). 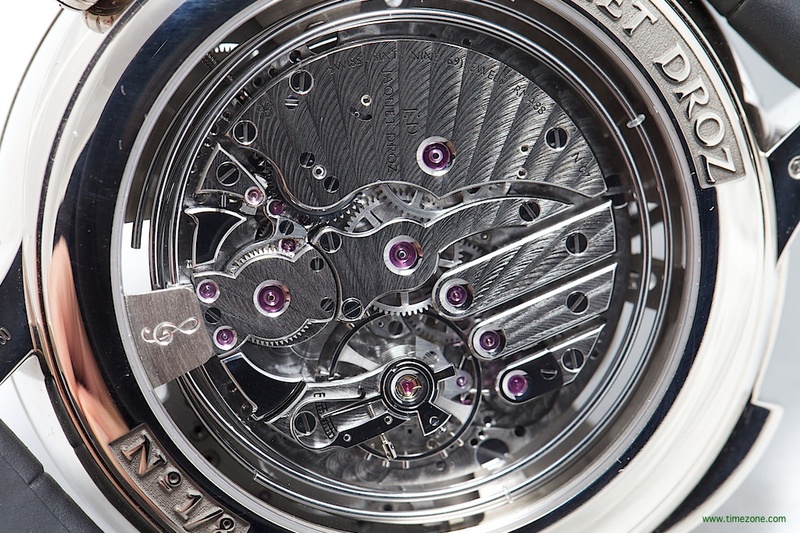 Turning the timepiece over reveals the Calibre 25JD self-winding movement with tourbillon and an 18-carat white gold and aventurine oscillating weight. 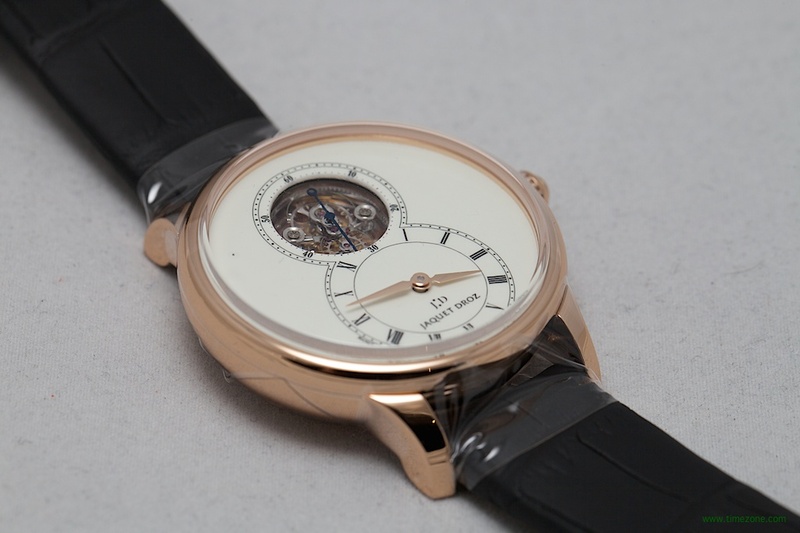 The timepiece is limited in production to 28 pieces. Price is $115,400. 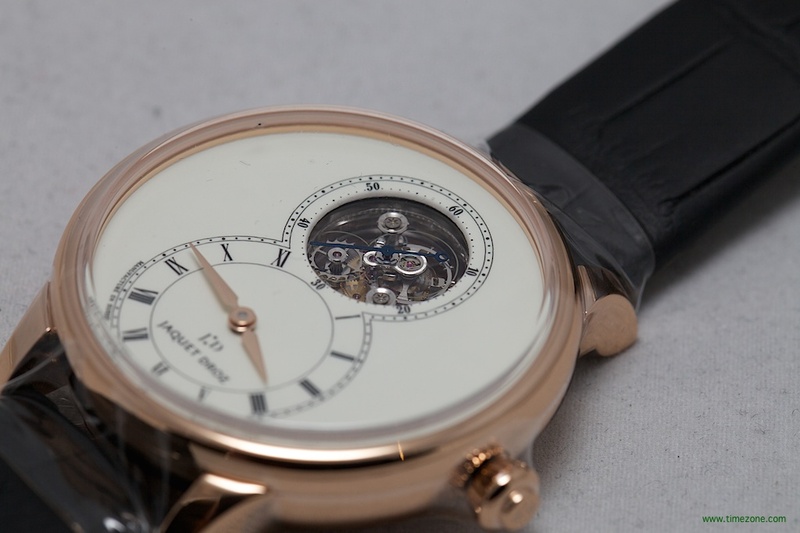 The Grande Seconde Tourbillon Ivory Enamel showcases the brand’s expertise in grand feu enamelling. 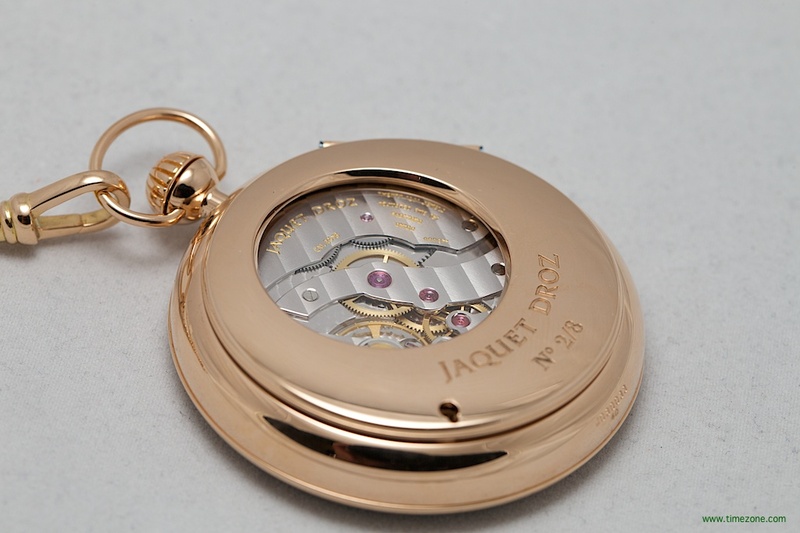 The 18-carat red gold case measures 39mm x 13.20mm. 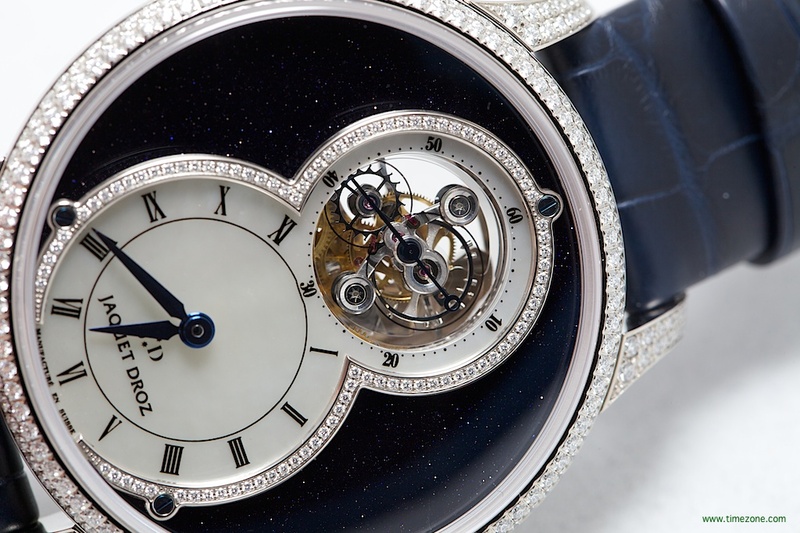 Turning the timepiece over reveals the Calibre 25JD self-winding movement with tourbillon and an 18-carat red gold and white onyx oscillating weight. 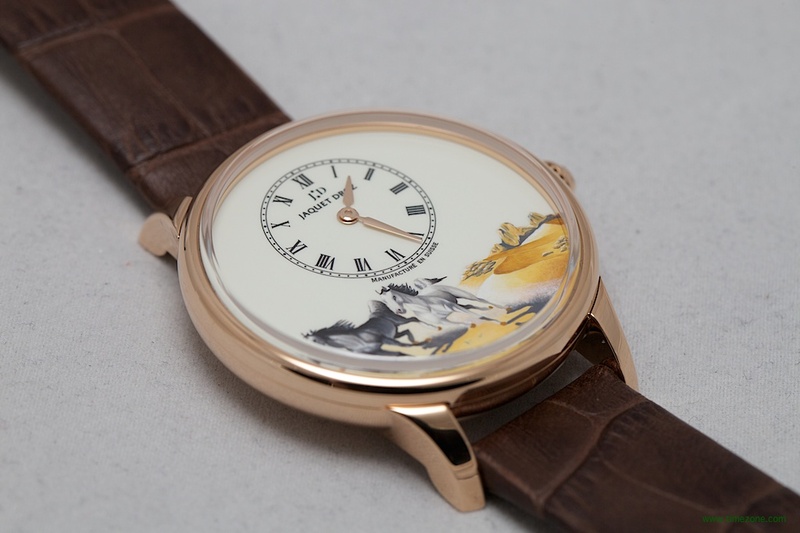 The Miniature Painting on Enamel has an ivory grand feu enamel dial with a miniature painting of horses. 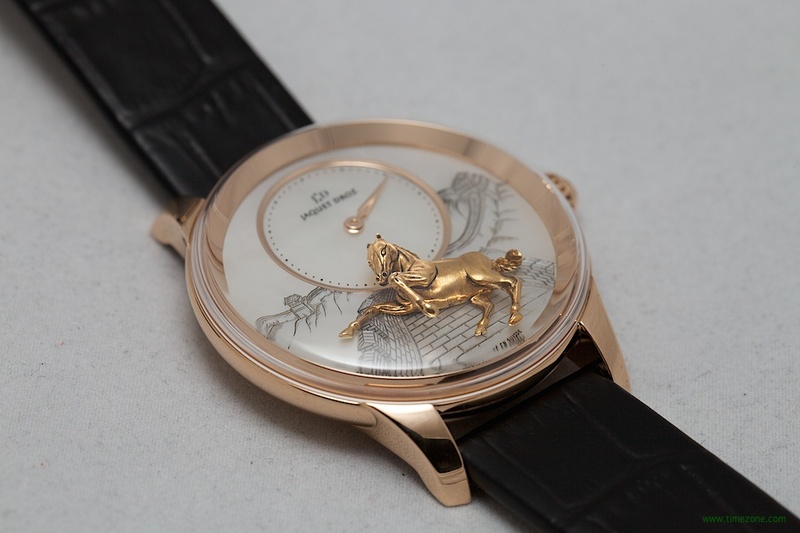 The 18-carat red gold case measures 39mm and houses a Calibre 2653 double barrel automatic movement with a unique 22-carat white gold oscillating weight with hand-engraved horse motif. 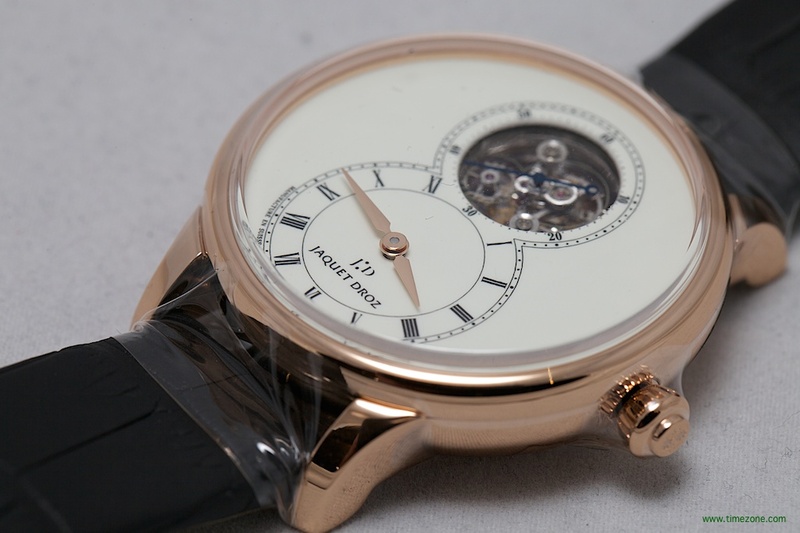 The timepiece is limited in production to 88 pieces. Price is $30,500. 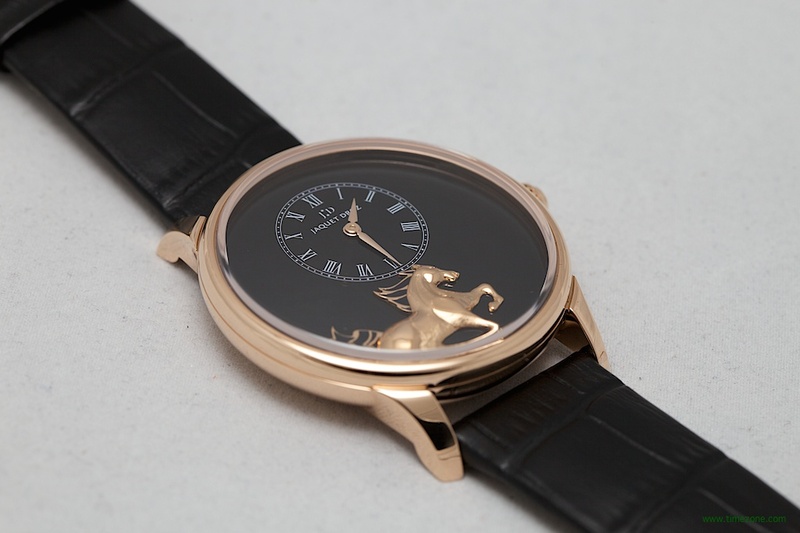 The Petite Heuer Minute Relief Horse has a black grand feu and champlevé enamel dial with a hand sculpted horse relief appliqué. 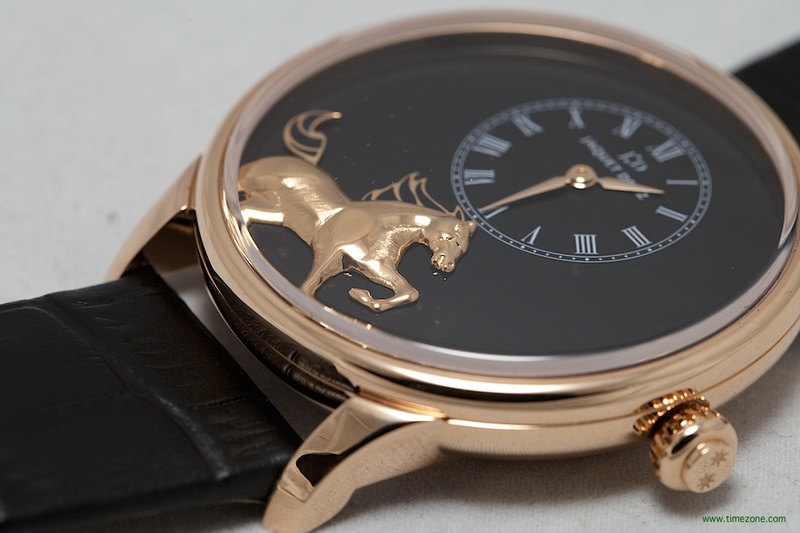 The 18-carat red gold case measures 41mm and houses a Calibre 2653 double barrel automatic movement with a unique 22-carat white gold oscillating weight with hand-engraved horse motif. 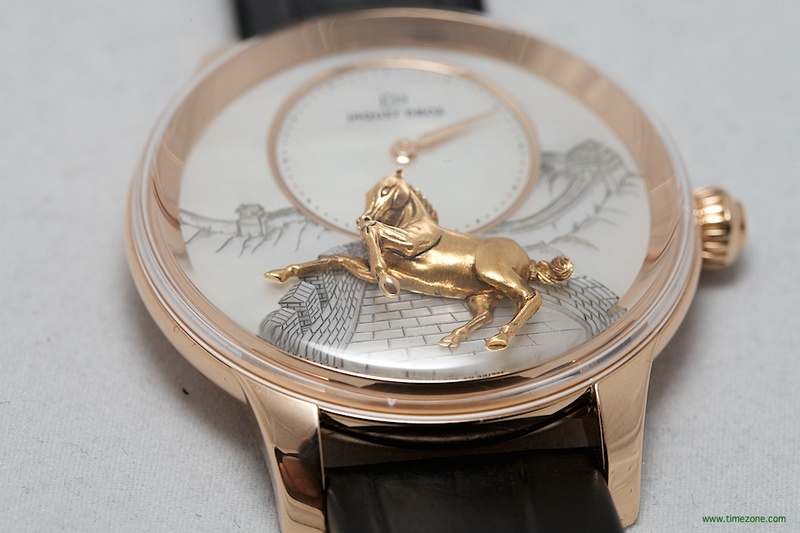 The timepiece is limited in production to 88 pieces. Price is $57,800. 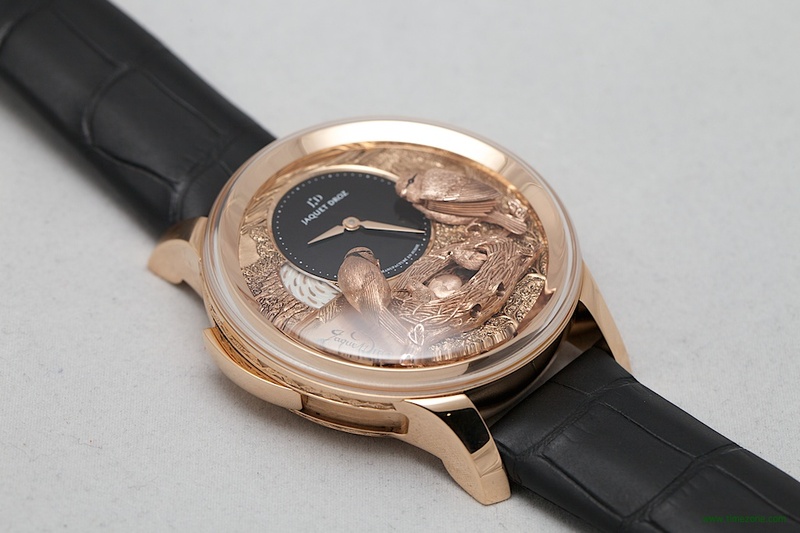 The Grande Seconde SW is Jaquet Droz’s interpretation of a sports watch with the signature off-centred dials that form the figure eight. 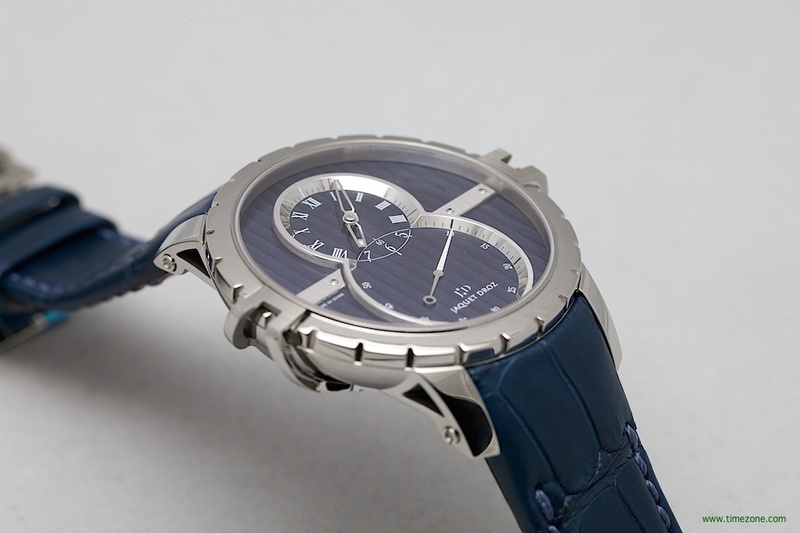 This year, the collection is extended with dial colours in gray, anthracite gray or blue, with a case option of 41mm or 45mm in diameter. 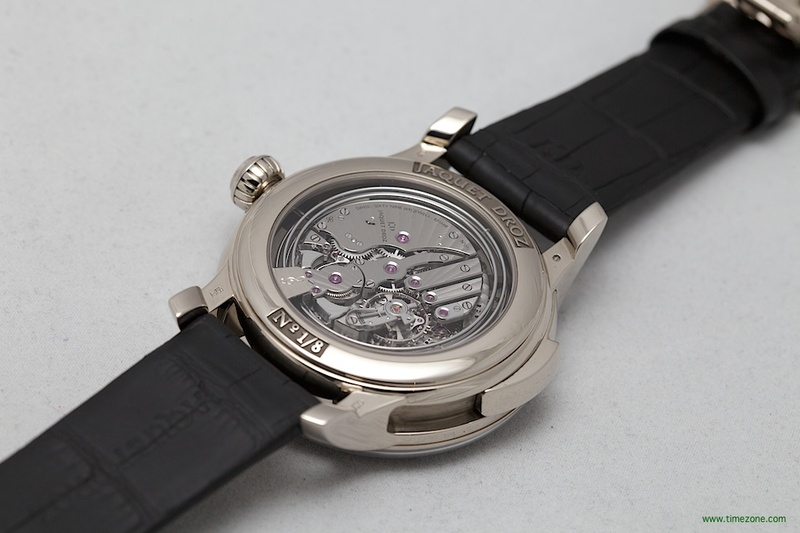 The Grande Seconde SW houses the Calibre 2663A-S automatic movement with ruthenium finish, double barrel and 18-carat white gold oscillating weight. Price is $14,700. 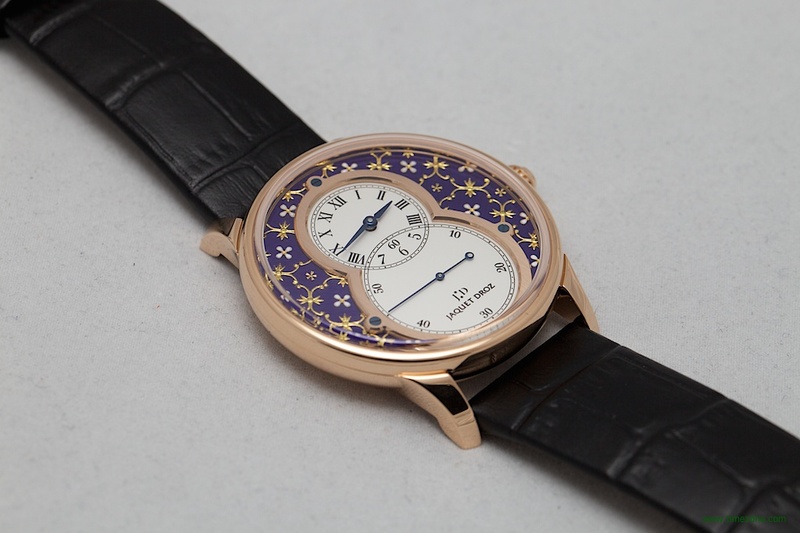 The Grande Seconde Quantième Ivory Enamel is available with either a 39mm or 43mm case in 18-carat red or white gold. 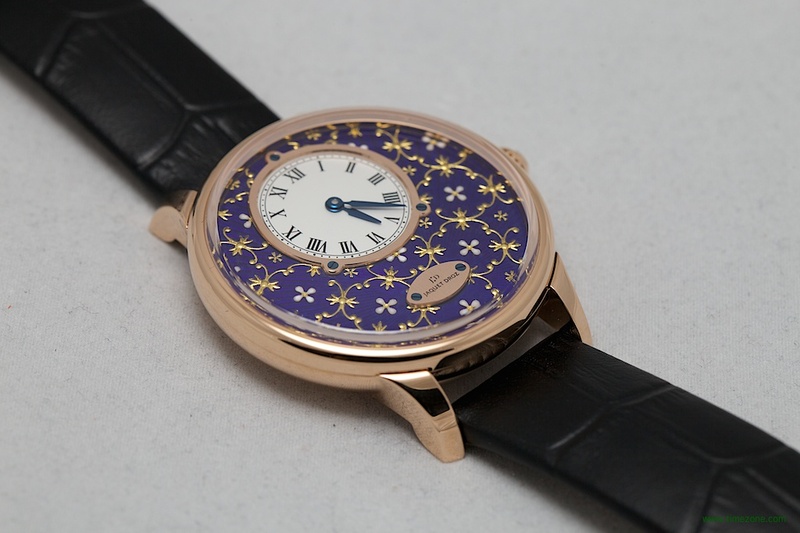 The sunken grand feu enamel dial accentuates the depth of the subdial and the signature figure eight configuration. 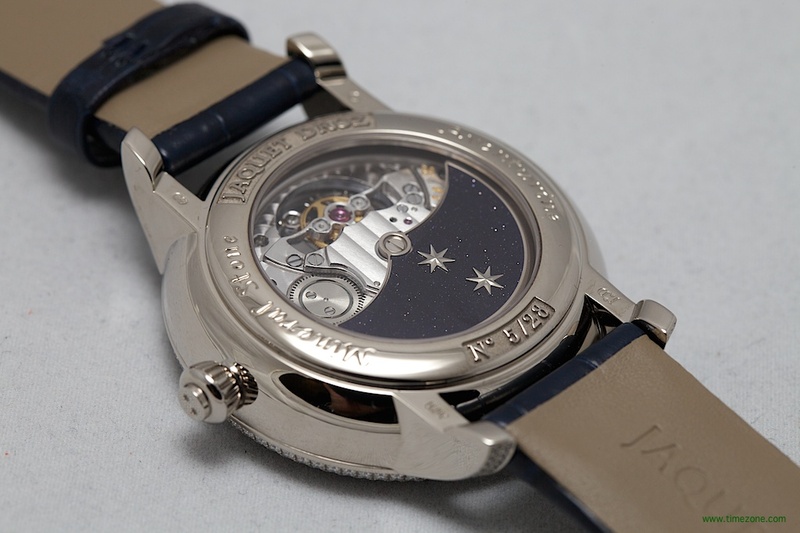 The off-centered hours and minutes are indicated in the top half of the dial, the large seconds subdial incorporates a pointer-type date indication in the lower half of the dial. 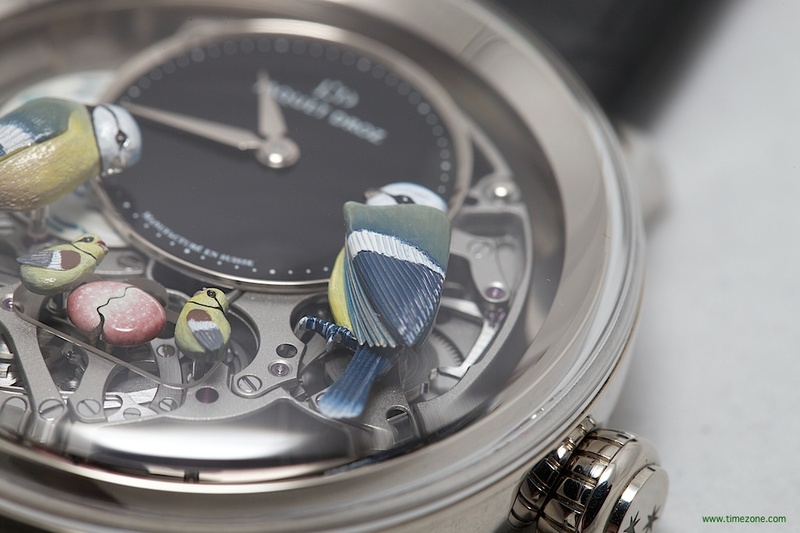 The Calibre 2660Q2.P perpetual calendar automatic movement is the first generation Jaquet Droz caliber to incorporate a silicon balance spring in the escapement. 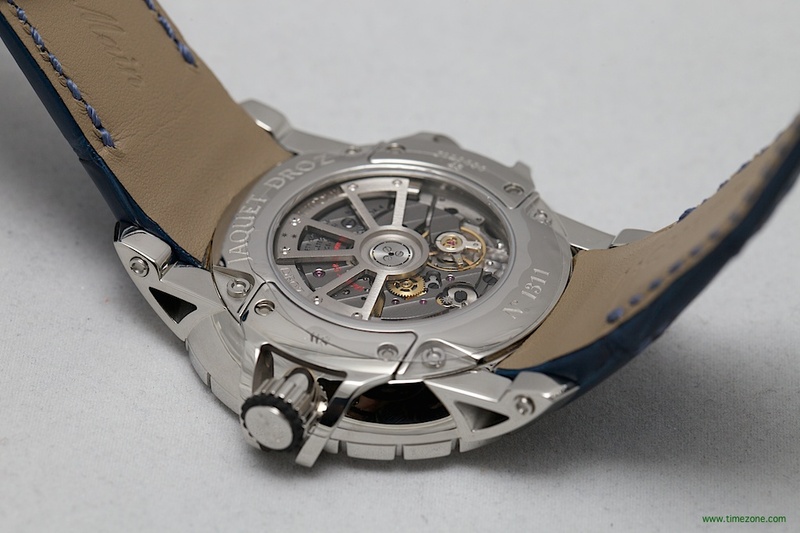 The movement is also finished with a more contemporary aesthetic with enlarged bridges and an openwork rotor. 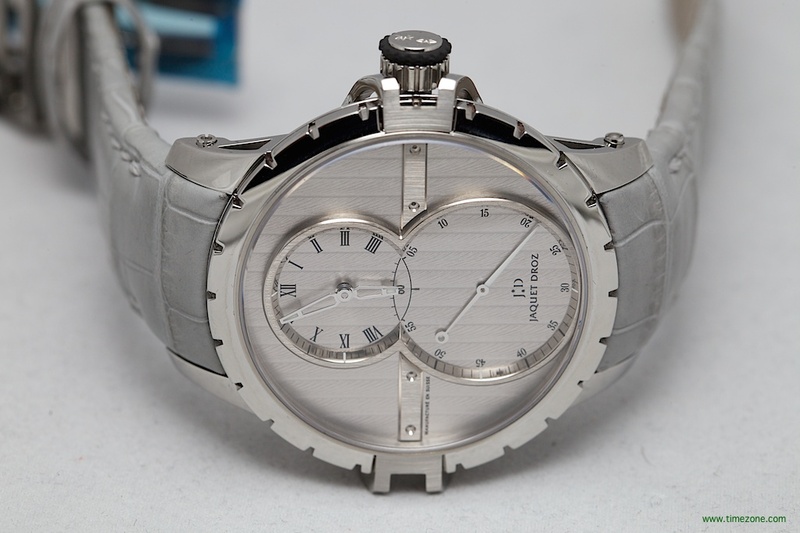 With double barrel movement results in a 68-hour power reserve. Price is $20,000. 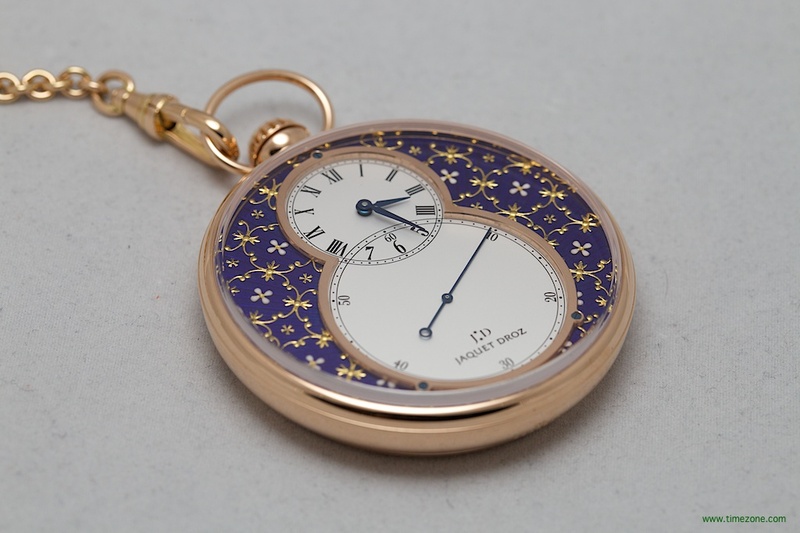 Jaquet Droz reveals three timepieces to showcase its expertise at paillonné enamelling: a 39mm Petite Heure Minute, a 43mm Grande Seconde and a 50mm pocket watch. Paillonné is a difficult, labour-intensive grand feu enamelling technique. Antique gold flower and leaf motifs are hand applied between layers of enamel. The technique involves several firings at temperatures that can approach 1000 °C. Only the skilled eye can detect when the blue colour is perfectly consistent and when the motif has set under the translucent enamel fondant. 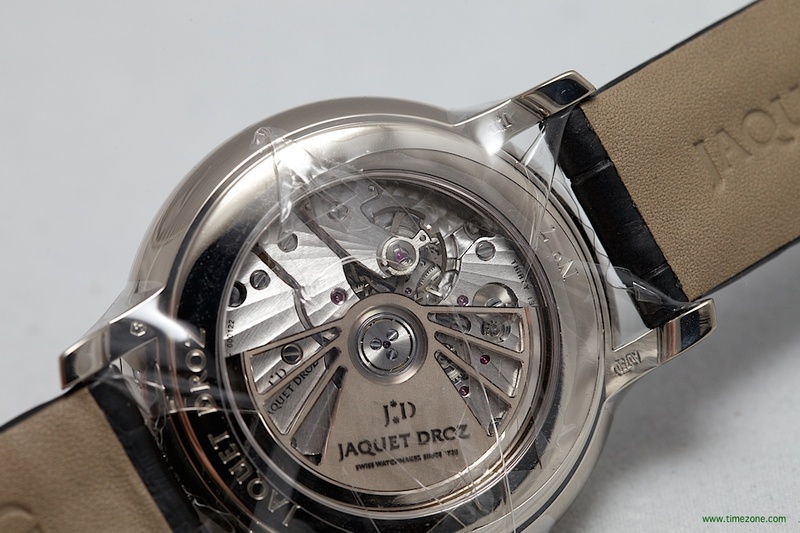 Each timepiece is fitted with a mechanical movement. 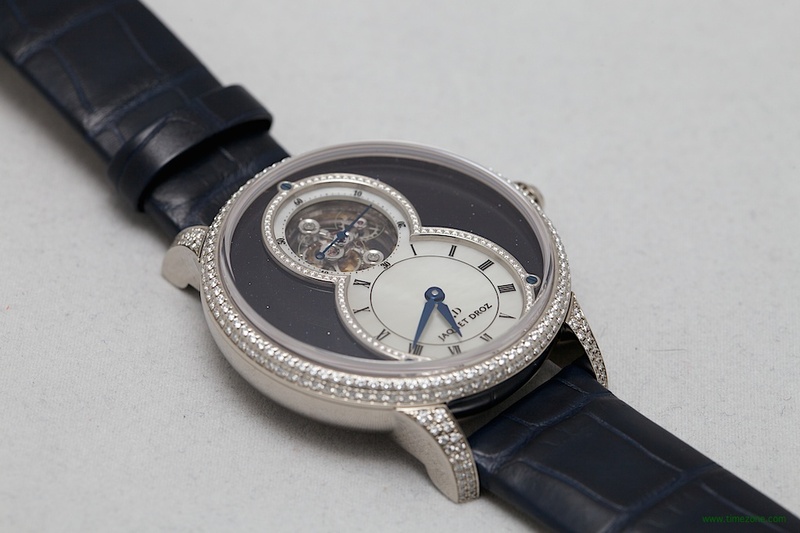 The Petite Heure Minute is fitted with the Calibre 2653 double barrel automatic movement with 22-carat white gold oscillating weight; the Grande Seconde is fitted with the Calibre 2663 double barrel automatic movement with 22-carat white gold oscillating weight; and the pocket watch is fitted with the Calibre 2615 hand-winding movement. 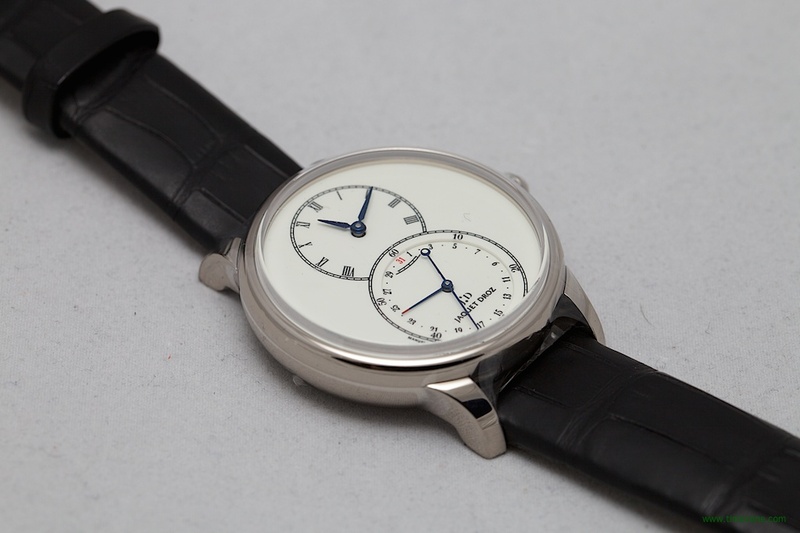 Each model is limited to 8 pieces each. 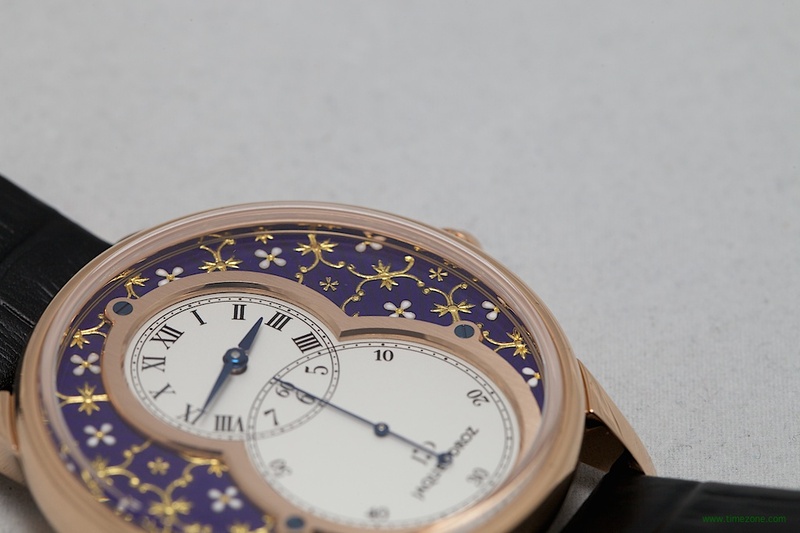 Prices are $39,900 for the Petite Heure Minute Paillonnée, $42,000 for the Grande Seconde Paillonnée and $47,300 for the Pocket Watch Paillonnée. 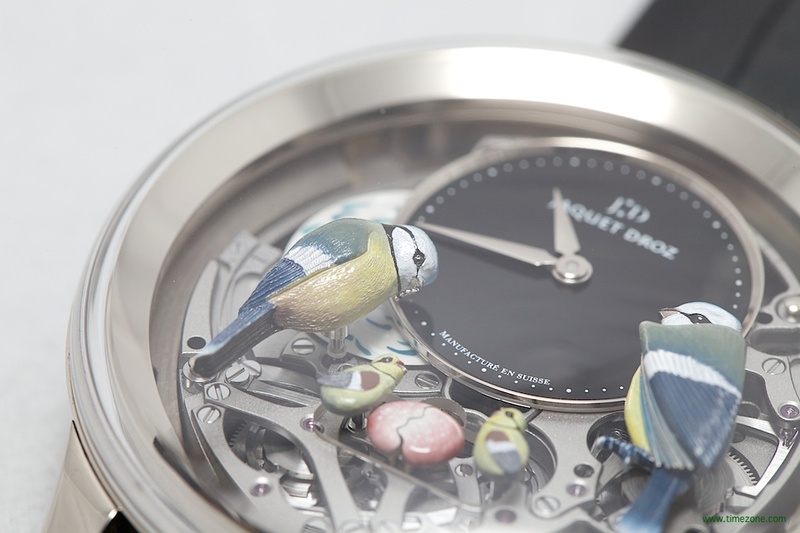 The Bird Repeater is now available with a fully engraved red gold dial and black onyx subdial. 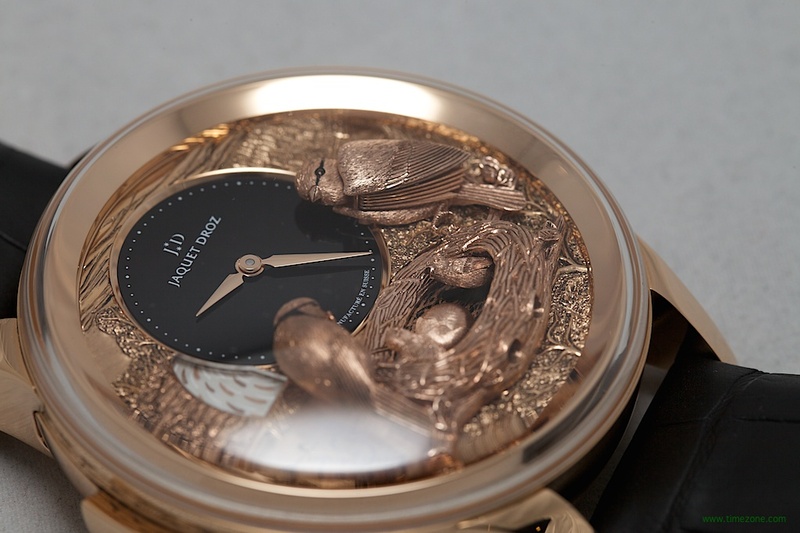 A pair of hand engraved birds look over their nest. 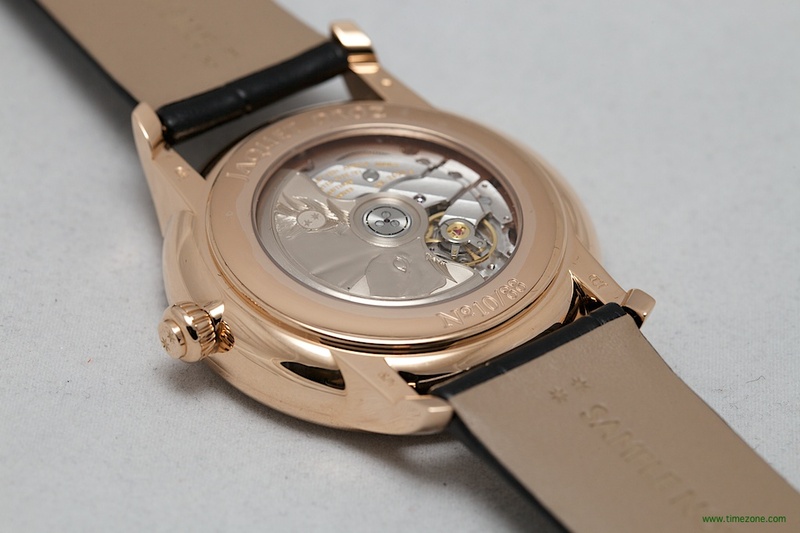 The slide lever not only activates the cathedral gong minute repeater, but also animates the dial. While one of the birds bobs its head to feed a chick, the wings of its companion spread open, one of the eggs hatches and a waterfall cascades in the background. For the scene to achieve its realism, a complex cam system of eight different mechanisms work in synchronism. 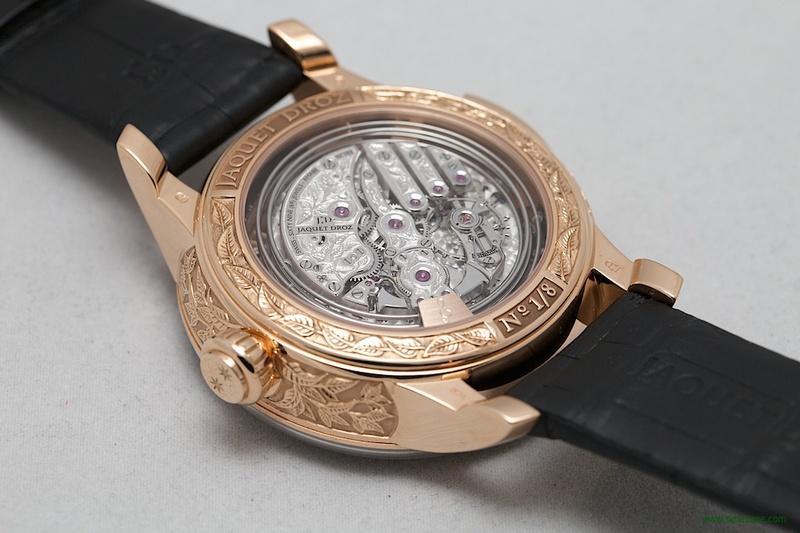 The hand engraved 18-carat red gold case measures 47mm x 18.4mm and houses a hand engraved Calibre RMA88 cathedral gong minute repeater hand-wound movement. 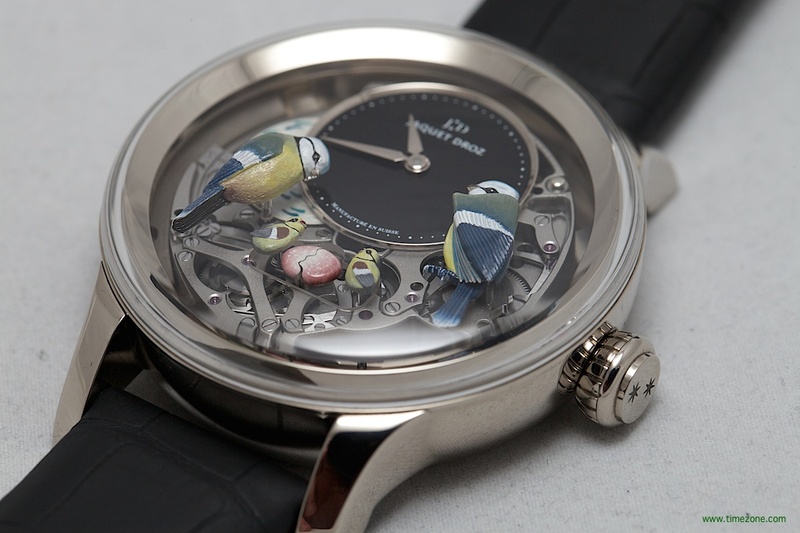 The Bird Repeater Fully Engraved is limited to 8 pieces. 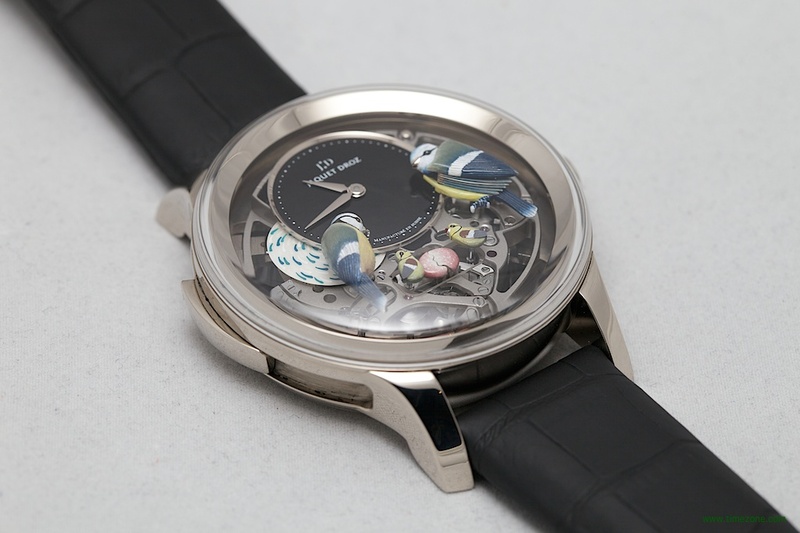 The Bird Repeater is now available in an openwork variation with a skeletonised dial and black onyx subdial. 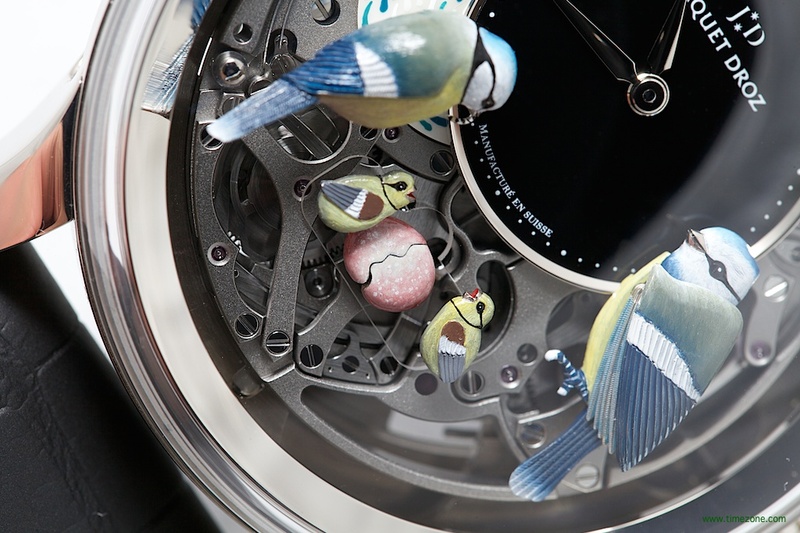 A pair of hand engraved birds look over a nest. 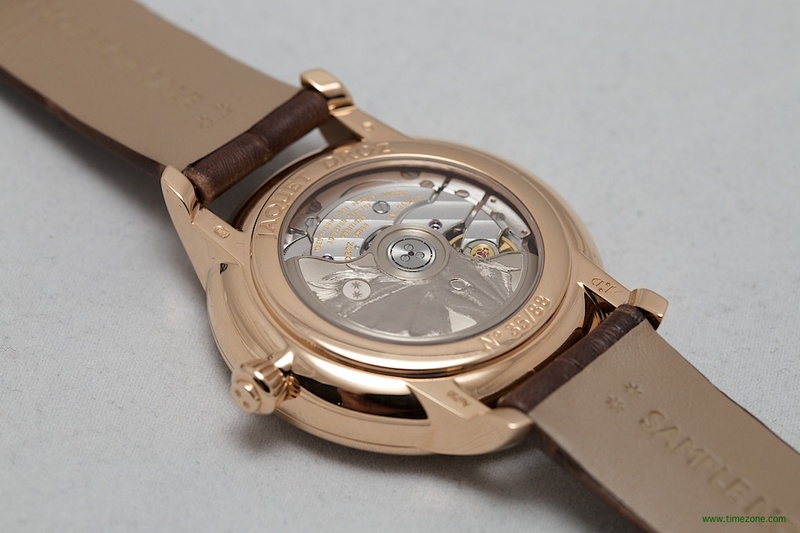 The slide lever not only activates the cathedral gong minute repeater, but also animates the dial. While one of the birds bobs its head to feed a chick, the wings of its companion spread open. An egg in the middle of the nest hatches, while a waterfall cascades in the background. For the scene to achieve its realism, a complex cam system of eight different mechanisms work in synchronism. 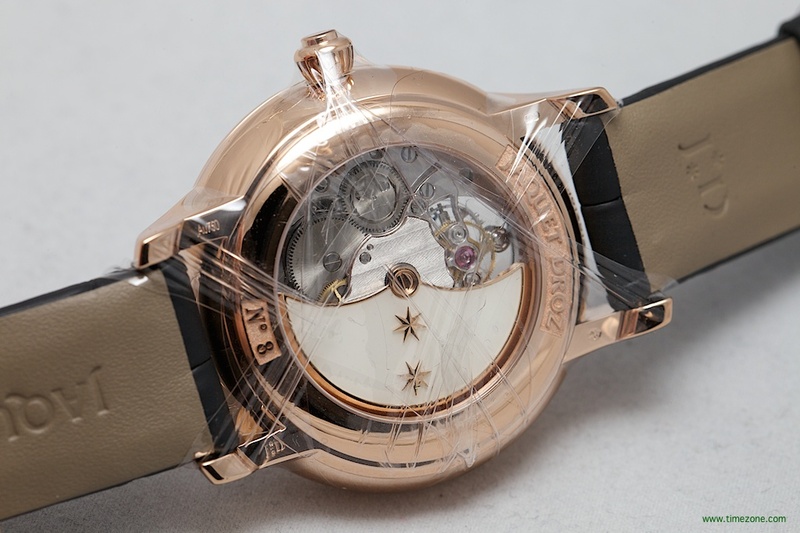 The 18-carat gold case measures 47mm x 18.4mm. 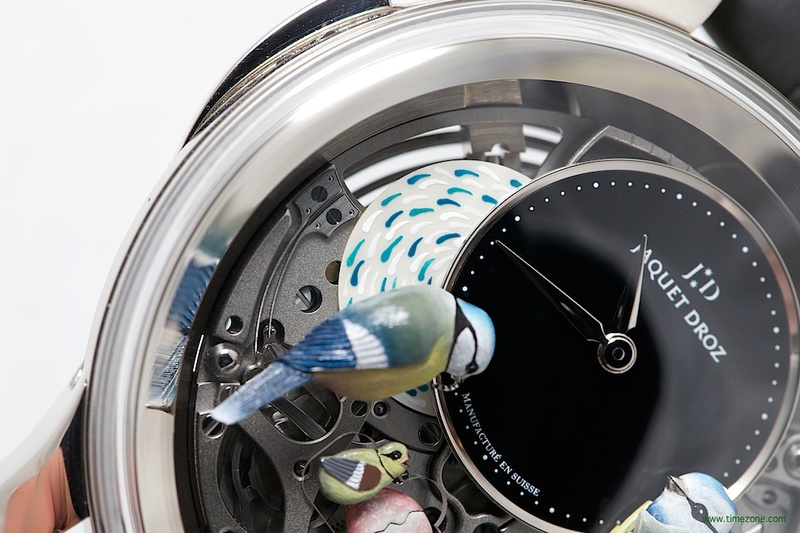 The Bird Repeater Openwork is limited to 8 pieces.